Happy Weekend and Welcome to this week's What to do Weekends Party! I'm so glad you are here. I pray you are all staying warm, and dry. It's been a very active Winter, here, in Northern California and we are very grateful fo the rain. You all just keep the Inspiration rolling! I am in awe of all your talent! Linda and I are so grateful that you join us each week and we are still pinning your wonderful offerings away on our Party Board. As hard as it was to choose....here are my Features for this week! Starting with By Dreams Factory's Dried Lavender Essential Oil Diffuser Her little vignette, here, it just adorable too! 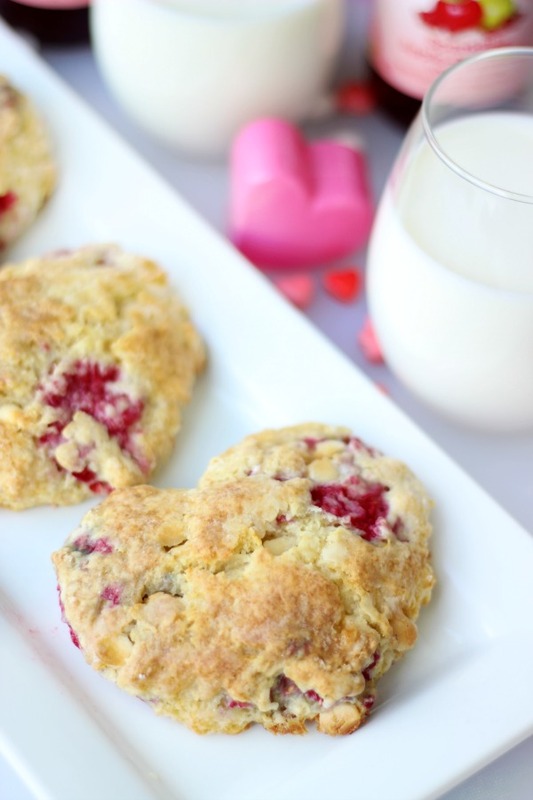 Glue Sticks Blog shared her yummy recipe for these Strawberry Raspberry Scones perfect for your Valentine morning! 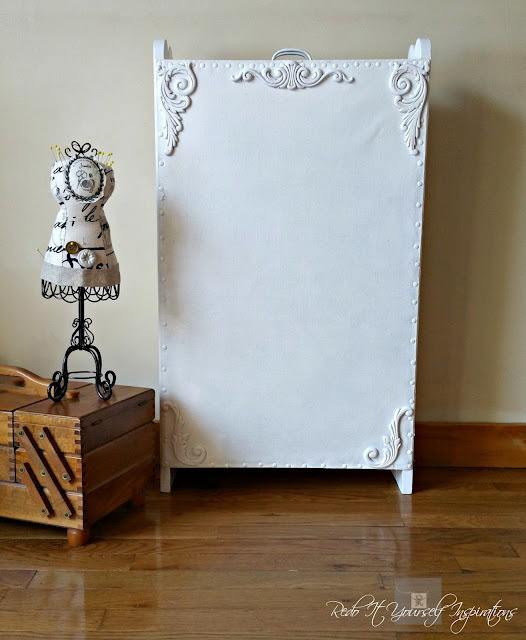 Did you get a chance to see Redo It Yourself Inspiration's Makeover on her Vintage Sewing Cabinet ?!! It turned out...well,....perfect?!! LOVE the additional appliques! Maggie Lois brought together numerous beautiful ways for us all to Enjoy The Month of February I love this! Things we often get too busy to enjoy! Thank you! Debby Goes Shabby shared her gorgeous Valentine's Day Mantel with her Goodwill Find~Puffy Hearts that she made from a velvet Blouse! Love it! 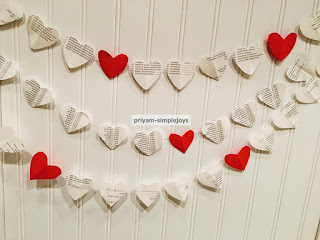 Priyam at SimpleJoys shared her sweet little Paper Valentine Garland, just whimsy and adorable! Thanks for hosting, Theresa. I hope you have a fabulous weekend. Thank you for featuring my puffy hearts! Love is in the air, Happy early Valentines to everyone, all beautiful features! Oh, Debby, always my pleasure! Happy Valentine to you, as well!